All of our desktop computers are built here in store by our highly-trained team of computer technicians. Whether you’re looking for a low-cost home computer, a high performance business machine, or an enormously powerful gaming system, we are sure to have the perfect computer that’s right for you. What’s more, when buying a PC at Carbil Computers all you have to do when you get home is plug it in. We do everything for you so there is no hassle spending hours’ setting it up before you can begin to enjoy your purchase. All our systems are setup fully before leaving the store – ideal for those who don’t have the time or the inclination to set up their own. This includes the installation and activation of your chosen operating system, installation of all device drivers and completion of all current Windows Updates as well as installing a number of useful programs including 1 Year Anti-Virus and Internet Security. 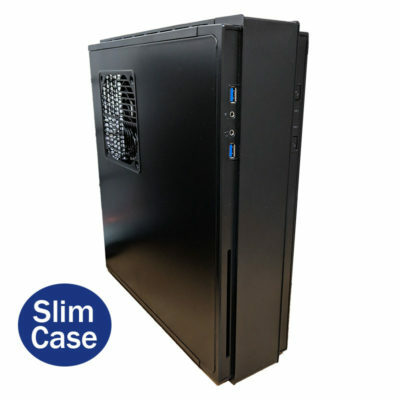 Like the look of a different case? 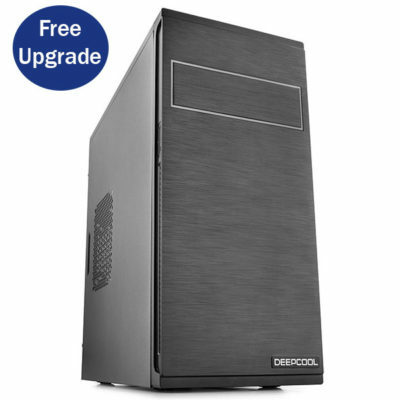 Want extra Hard Drive space, more memory or another graphics card? Alternatives or upgrades can be added to all of our custom built computers. Simply let us know what component(s) you would like replacing so we can build you the ideal computer that will exceed your expectations. Our stock changes daily, we will be updating our website, but some items may be out of stock when ordering online. Please contact us for an up to date availability of our products. Not all our products will be available online, please call if you are unable to find the product you are looking for.